Because we offer personalized service in English - German translation. Because we do translations in such a way that the receiver is not aware that he is reading a translated text. Because thanks to our experts in English - German translation we can offer you the best language solutions. Because our translation agency offers you high quality translations. Because our language experts in different sciences use the most appropriate terminology in the translations. Because you will receive a reply to your quote requestfor translations in less than two hours! Because thanks to our online quote you can commission your translation quickly and easily. Because we guarantee absolute confidentiality in all translation orders. Because we deliver the translations by the established deadline. Because we support you and strive to help you achieve your goals with the help of our English - German translations. You must have heard the expression: «the German locomotive»; although it is now also applied to the field of sports, strictly speaking it refers to the German economy as the most powerful in Europe and one of the most powerful in the world, the engine of European recovery in these uncertain times, based on a widely diversified economy which has had an impact on the tremendous development of the nation. And everything seems to indicate that the forecasts fall short. Ever wondered how they do it? The Federal Republic of Germany is the most populous nation of the European Union, with over 80 million inhabitants, and therefore has the largest representation in the European Parliament. Similarly, its presence in the most influential international organizations is assured. In the European Commission, for example, German is one of the working languages. And the fact is that according to some estimates over 100 million Europeans speak it as their native language; with the exception of Russian, it is the most widely spoken language on the continent and the second most widely taught in European schools. The interesting thing is that Germany has traditionally received immigrants from all over the world (in fact, a significant proportion of its inhabitants are foreign, particularly Turkish), so that many German people are multilingual. If you think it is an incomprehensible language, bear in mind that, like ours, it belongs to the Indo-European family, but included in the sub-group of Germanic languages. Therefore, if not brothers, they could at least be considered cousins. And also like ours, German is a multicentric language, with three main centers: Germany, Austria and Switzerland. In fact, what is known as standard German is actually an amalgam of various dialects (roughly speaking, High German and), some of which are mutually unintelligible. Nevertheless, in certain regions, such as Luxembourg, Alsace and Lorraine, these dialects are more widespread among the native population than the standard form. 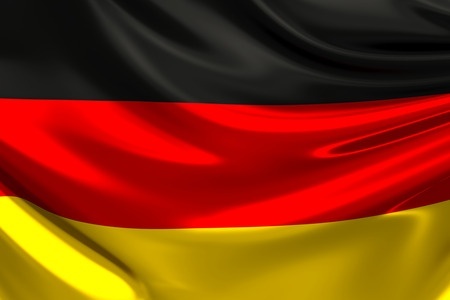 Whatever the case, German is the official language of Germany, Austria and Liechtenstein, and one of the official languages of Belgium, Luxembourg and Switzerland, as well as various European territories and the former colony of Namibia. However, in these regions the German speaking communities have declined markedly due to the migratory movements caused by the economic and political circumstances of the 1990’s. Nevertheless, it is spoken by over 150 million people throughout the world, not only in Europe, but also in United States and Latin America, where it has a strong presence.